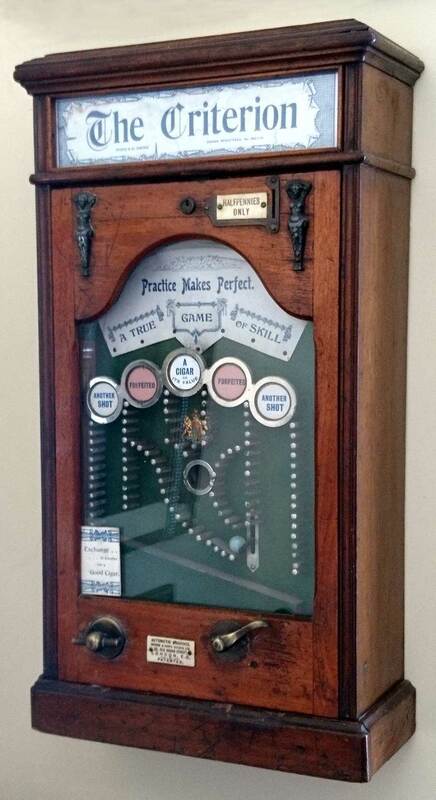 Insert a halfpenny in the slot and try to shoot the marble into the centre pocket using the trigger on the right. If successful, turn the handle on the left to receive a cigar or cheque. Haydon & Urry made two other variants of this game: The Colonial Shooting Range and the Rotary Shooting Range.